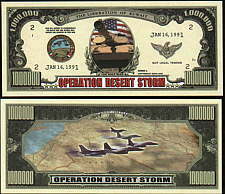 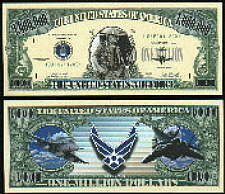 USAF We are in Your Debt, Thanks a Million! 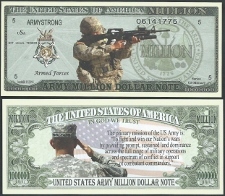 US Army We are in your Debt, Thanks a Million! 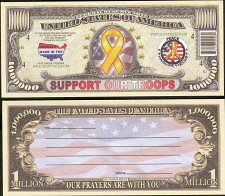 Yellow Ribbon/Support OUR Troops Bill!! 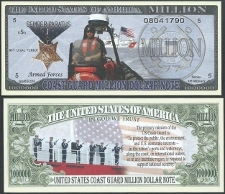 US Coast Guard, We Are in Your Debt, Thanks a Million! 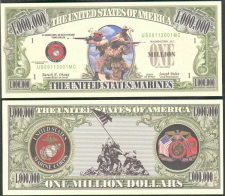 USMC bill, US Marine's, We Are in Your Debt, Thanks a Million! 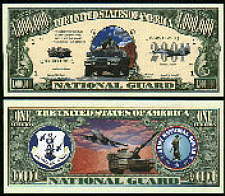 US National Guard, We Are in Your Debt, Thanks a Million! 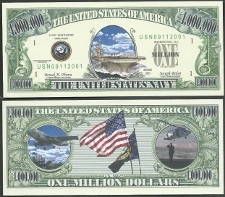 US Navy, We Are in Your Debt, Thanks a Million! 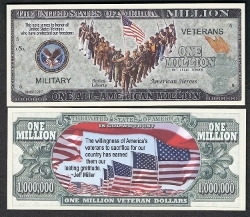 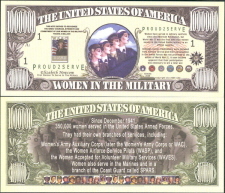 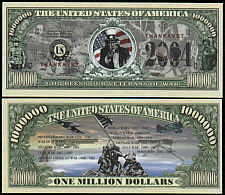 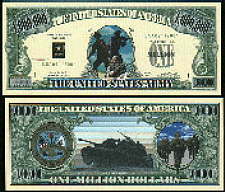 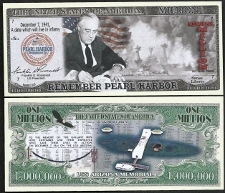 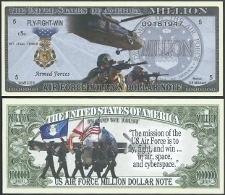 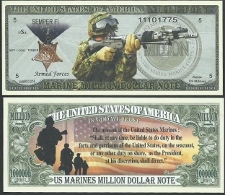 THANK A VET MILLION DOLLAR BILL honoring all Veterans of American Wars!! 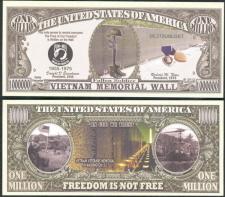 This note serves to remind everyone The price of our freedom is written on the wall. 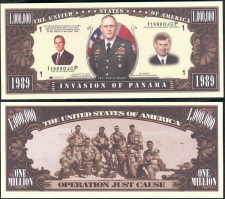 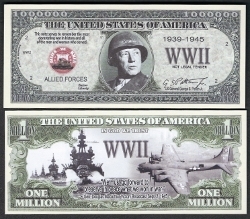 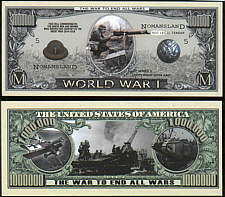 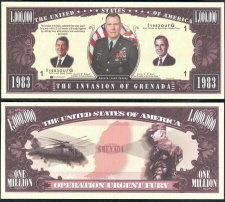 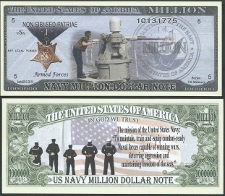 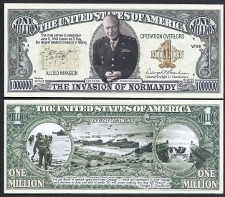 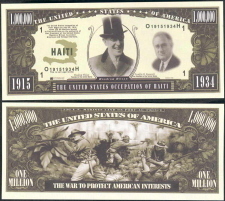 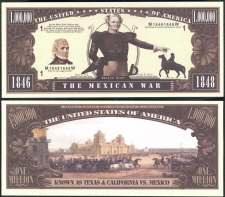 A Call to Arms Million Dollar Bill Featuring Patton! 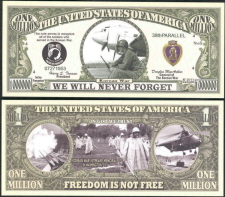 This note serves to remember the most devastating war in history and all of the men and women who served.